My dear friends, I am so excited to share a little interview with you today with Sara Dobie Bauer. Sara wrote one of my favorite reads of 2016, Bite Somebody. In case you missed it, be sure to check out my review of the book and an interview with her last year. 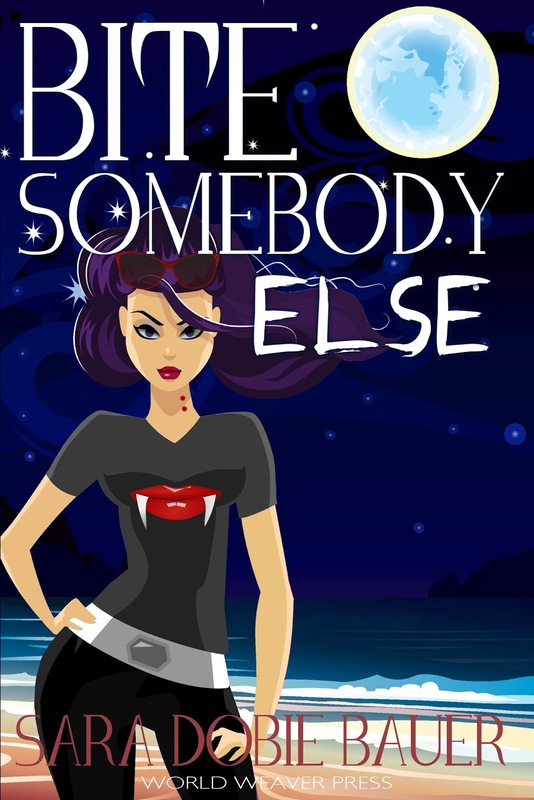 As of yesterday, her sequel to this fun book, Bite Somebody Else was released and for that reason, she is back today with a different kind of interview ... an interview of her favorites!! Before we get to that interview though, I have to share how excited I am about this book. As soon as it was available for pre-order, I got my order in. I am away traveling for a few days, but I cannot wait to receive my own copy of this book as soon as I return home ... because that ending has had me thinking all year long!! 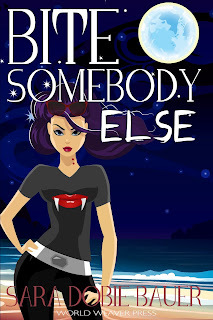 Now, let's welcome Sara Dobie Bauer, author of Bite Somebody Else!! Favorite character in Bite Somebody. Ian, because I have a huge crush on him. Favorite character in Bite Somebody Else. Imogene, because she’s all grown up. Favorite quote from Bite Somebody Else. An ever-changing response. Today? Merrick by Claire Cray. Bram Stoker’s Dracula with Gary Oldman. Favorite on-screen vampire (actor/actress who played a vampire). Colin Farrell in Fright Night. He can bite me anytime. Favorite shot from your latest vampire photo shoot. Favorite beverage and/or snack to consume while writing Bite Somebody Else. Favorite place to write (vampires or otherwise). The front window on the second story of my house. When I need a break, I play Rear Window and stalk my neighbors. Favorite time of day to write. Favorite pastime when you are not writing. Favorite book(s) you have read so far this year. Gun to My Head by Dira Lewis. Favorite place you share news with your fans. Twitter. Follow me for fun: http://twitter.com/SaraDobie. Erica Hatch ... I hope you do! I really had fun with the first book! Fun interview. I need to check these books out. Jenny ... I definitely recommend the first one. I will keep you posted on the second.